Are you a regular Facebooker? Have you used it at all? Even a little bit? Maybe you are a faithful, every day (multiple times a day, of course) user, or maybe you only log on a couple times a week at most just to see what’s going on with all of your “friends”. Whatever the case, however much or however little you use Facebook, one thing seems to be true: at some point or another you have been part of some kind of Facebook experiment. In other words, without you even knowing about it, you’ve been a test subject for Facebook. You’ve been a lab rat, and you haven’t even seen the spinning wheel they had you running on while the powers that be watched you and compiled notes for discussion later. 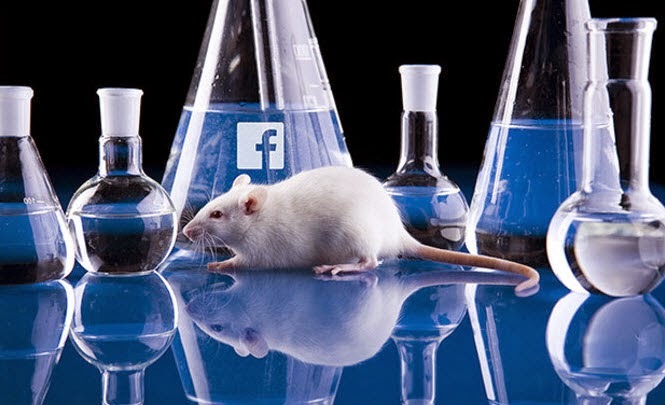 Now, the big “experiment” that’s recently been revealed concerns Facebook’s manipulation of several thousand news feeds over a week period a couple years ago. Facebook wanted to see what people would do if they saw only positive news stories vs. if they saw only negative stories. While that may not sound like a huge deal, there are a lot of people who are now upset about it because they had no idea they were part of any kind of an experiment. Now, before everyone freaks out wondering what kind of testing they’ve been a part of, we should all probably take a collective deep breath and calm down for a moment. What are those experiments? They’re probably not as earth shattering as the news feed manipulation story, but they consist of little things such as various text sizes, ads, and different buttons, etc. But here’s the thing – every single user (according to the ex-employee) has been part of an experiment at some time or another. Maybe it was a small one, like the above examples, or maybe it was a big one. But how will they ever know? They probably won’t. What are your thoughts? Are you okay with being part of Facebook’s endless experiments? Let us know your thoughts regarding this story in the comments section below!